Criticisms for the controversial Digital Economy Act are still piling in, with O2 accusing the newly created law of being a 'red herring'. 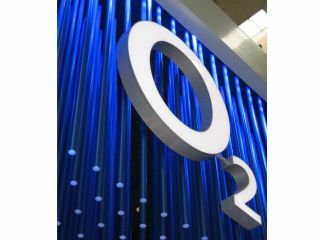 In an strongly-worded open letter, O2's head of Home and Broadband Felix Geyr slammed the new legal requirements for internet service providers to send warning letters, telling the music and film industries to 'wake up and smell the coffee'. "O2 supports the important principle of protecting copyright but we believe the new legal requirements for internet service providers to send warning letters – and if they don't work take more serious action, including disconnecting customers – are a red herring," said Geyr's letter. "The internet has brought about profound changes to the way we all live and work. New companies and industries have been created, and many long established companies have embraced the internet and are thriving in the new digital age. "Others have found out the hard way what happens when you fail to move with the time," it continues. "It may sound harsh but that's life in a market economy and that's what happens when a technology revolution takes place. "Some people vainly try to prop up the old system – like the luddites who smashed up the mechanical looms during the industrial revolution – while others recognise that change is inevitable and adapt to a new model. "The real solution to unlawful file sharing is not to send threatening letters or to cut people off from the internet. It is to come up with new products and services that give consumers the content they want, how they want it, and for a fair price. "So our message to the music company and film industry lobbyists who have been campaigning so hard for this change in the law is simple: you've got what you wanted. Now wake up, smell the coffee, and start really focusing on giving customers what they want. "